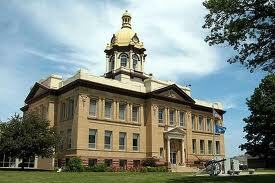 Hudson Wisconsin Lawyer and a new office in New Richmond, WI. 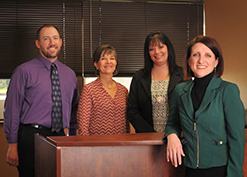 Hudson Wisconsin Lawyer and a new office in New Richmond, WI. I also offer weekend and evening appointments as necessary. I am both a Wisconsin Divorce Attorney and Wisconsin Criminal Defense Attorney here for you! "It was a pleasure working with Angela and would highly recommend her to anyone. I greatly appreciated everything she did and look forward to working with her in the future if need be. Also a shout out to her and all her staff, as they were all a pleasure to help me through this journey!" “I am really impressed by how Angela conducts herself in court... A strong, ethical, smart, articulate female attorney is appreciated by so many of us. 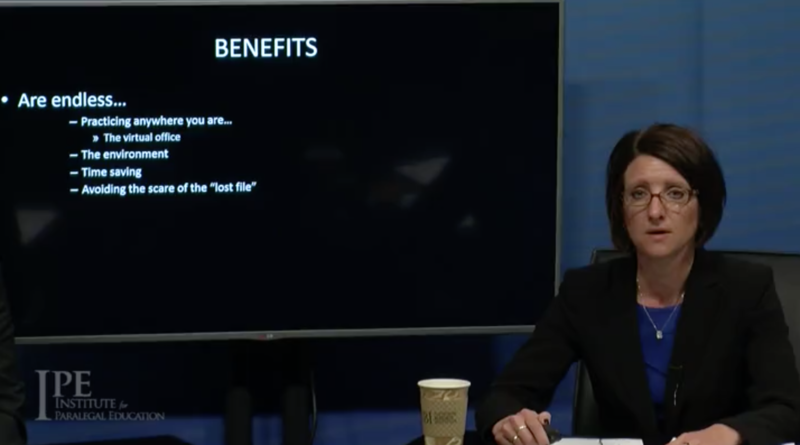 I hope she gets more opportunities to model what a good attorney does in the future." "Angela Olson took a difficult situation in our life & handled it in a very professional manner. She made us comfortable with the legal process. We never had to enter the courtroom & she handled ALL of the paperwork for us making our lives much easier. I would recommend her to all of my friends & family that need someone to properly represent their best interests in court. She is a true professional & I would not trust anyone else with our legal matters." 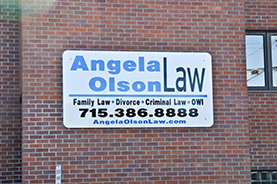 Angela Olson Law has a wide portfolio and can provide a range of services. 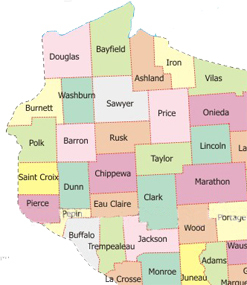 St. Croix County: Hudson, New Richmond, Somerset and River Falls; Pierce County: River Falls, Ellsworth, Prescott; Polk County; Barron County; Burnett County; Pepin County; and Dunn County: Menomonie and beyond. Angela Olson Law specializes in family law, divorce, mediation, criminal defense and drunk driving defense. Angela is a Hudson, New Richmond and River Falls family law attorney, DWI attorney and criminal defense attorney located in Hudson and New Richmond, Wisconsin. Angela is the owner and manager attorney of Angela Olson Law in Hudson and New Richmond. She spends a lot time in the courtroom representing people through the most difficult times in their lives when they are getting a divorce or have been accused of a crime. Ryan is an associate attorney practicing family law, criminal law, small claims and estate planning in Hudson, New Richmond, River Falls, Balsam Lake and beyond. Our family law work encompasses divorce, child support, alimony (maintenance) and child custody in Hudson, New Richmond and River Falls. We also have over a decade of experience in drunk driving defense, helping people in Hudson, New Richmond, River Falls and Balsam Lake with their OWI, DUI and DWI cases. Now we are also assisting with Estate Planning and Small Claims cases. Contact Ryan Shervey for more information. 715-386-8888 or Ryan@angelaolsonlaw.com. The law has been recently defined. You can seek grandparent visitation, guardianship and custody. Ryan and Angela work with many clients to make sure your family stays connected. · Angela stays on top of the latest technology to effectively and electronically help her clients. E-filing, electronic discovery, and electronic communication make up the legal system today. Angela Olson and Erik Olson presented on becoming a Paperless Office on 6/15/16. Paperless Office 101 for Paralegals. · Angela Olson stays current on all aspects of her practice. She attends local, state, and national conferences to stay on the cutting edge of family law, divorce, mediation, and criminal law to best represent you. · In September 2014 she attended the National Association of Criminal Defense Lawyer conference on DWI defense. She annually attends continuing legal education to remain on top of every development in drunk driving defense. · Every October she attends the Wisconsin Solo & Small Firm Conference in the Wisconsin Dells. She is repeatedly asked to present to lawyers across the state of Wisconsin on topics from starting a law firm to ethics. · Her staff has been trained on Electronic Filing (E-Filing). 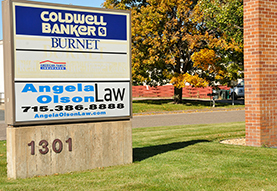 · Angela is a woman divorce lawyer in the St. Croix Valley. She also advocates for and promotes women’s issues through her roles in various community organizations. Angela is a past Board Member of the St. Croix Valley Professional Women’s Network (PWN) Board of Directors. In that capacity she provided information to local women professionals to allow them to grow in their lives. She also has presented at the State level on Women in the Law.